The intention of the YWP Institution Champions initiative is to strengthen YWP links among organisations, increase committee capacity and encourage participation and awareness within institutions. Champions may be proposed or nominate themselves. Institutions may range from universities, science councils, government organisations, NGOs, community groups or corporations. Initiate/organise at least one YWP event a year for their institution and other YWPs. This can be a social event, a seminar, a tour, a professional development activity or another initiative. Feel free to get creative! 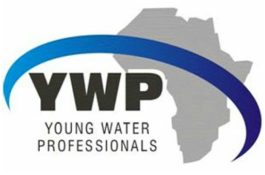 Champions will sit on the relevant YWP Provincial Committee in their individual Champion role but assume a non-executive role (you would not be voted onto the official committee but will add input, suggestions, and experience to the group. The Champion details will be added to the committee contacts and their activities added to the calendar. Any individual who is interested in assuming an Institution Champion Role is welcome to contact their local Provincial Committee for more information.